Second seed Rafael Nadal demolished Greek youngster Stefanos Tsitsipas in straight sets on Thursday to advance to the Australian Open final. 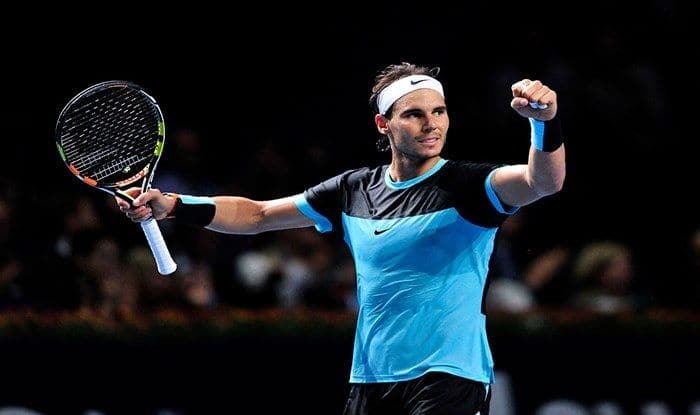 Rafael Nadal defeated Greek youngster Stefanos Tsitsipas in stunning fashion with a scoreline of 6-2, 6-4, 6-0 to advance to the finals of the Australian Open, where he will face Novak Djokovic. This is the fifth time Nadal has reached the final of the first Grand Slam of the year, after his victory in 2009 and his losing appearances in 2012, 2014 and 2017, reports Efe news. The 20-year-old Greek player tested Nadal in the opening games of the first set as he continued with the form that saw him secure stunning victories over Switzerland’s third seed Roger Federer and Spain’s Roberto Bautista in the Round of 16 and quarterfinal respectively. Nadal managed to break the Greek’s serve soon after that promising opening and soon imposed his will on proceedings. Tsitsipas never looked likely to add another upset to his impressive results over the past fortnight in Melbourne. Both players had to contend with the searing heat at Melbourne Park on Thursday with temperatures rising to 39 degrees during the first half of the match. The Spaniard moves on to the final without having dropped a set in any of his previous matches at the tournament so far. “That week in Brisbane of practice worked very well for me, then I arrived here and had another good week of work and then since the tournament started I felt really, really well so just can say thank you very much everybody for the support. Thanks to my team for being there all the time,” Nadal said on court after the match. Nadal will face the winner of the other semi-final between world No. 1 Novak Djokovic and France’s 28th seed Lucas Pouille. Djokovic had defeated Nadal in the 2012 Australian Open final in a match lasting 5 hours 53 minutes, the longest Grand Slam final in history.